In service with Department of Air Transportability Test Loading Agency. 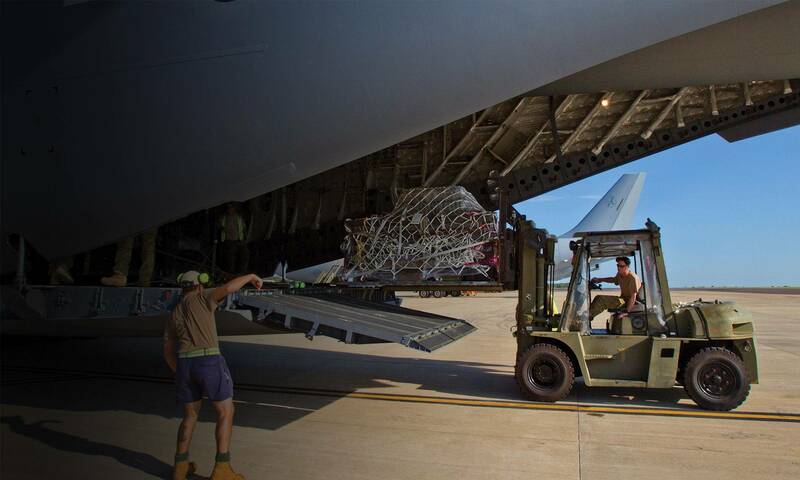 An AmSafe Bridport military pallet nets provides a range of solutions to restrain palletised cargo. 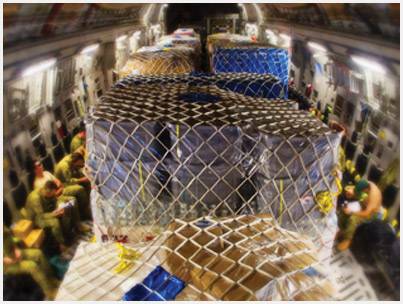 Approved by the US DoD Air Transportability Agency (ATTLA) for use on a variety of military cargo aircraft, our air cargo nets (including 3G, 9G, flame retardant and lightweight) are designed to restrain loads of up to 10,000lb on the aircraft floor or on the NATO standard 463L pallet.